A grand cultural event was hosted by Katara - The Cultural Village Foundation on Tuesday for the officials and delegates to the ongoing 140th General Assembly of the Inter-Parliamentary Union (IPU). Katara--the Cultural Village Foundation launched the Palestine Cultural Festival on Thursday with a host of activities and shows highlighting the Palestinian heritage. Qatari entrepreneurs and local small and medium-sized enterprises (SMEs) stand to gain from the procurement opportunities being offered by Katara Hospitality during the fourth edition of the Government Procurement and Contracting Conference & Exhibition ‘Moushtarayat 2019’. 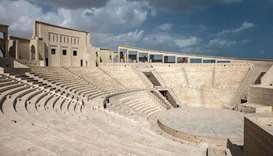 The Katara amphitheatre will Sunday host the 7th International Opera and Classical Music awards ceremony, which will feature nearly 100 musicians and some of the biggest names among opera artistes. 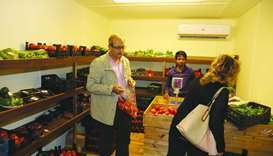 The third Mahaseel market organised by Katara - the Cultural Village set to conclude Sunday. 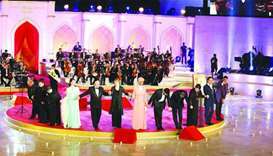 Katara - The Cultural Village Foundation will host the renowned International Opera and Classical Music awards ceremony the 'Oscar Della Lirica' in its 7th edition on March 31 at the Katara Amphitheatre. 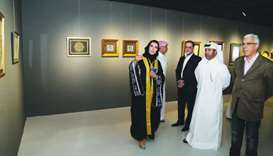 Katara-the Cultural Village Foundation has inaugurated two art exhibitions, which shed light on Islamic arts and decorations, at buildings 22 and 5. The works of Qatari lady artists Moza al-Kuwari, Noura al-Bouanain, Naeema al-Hail, and Mona al-Asmakh will be on show until March 28. Experts in the field of tech development gathered at the annual forum, Katara-tech, in Doha recently, discussing the latest updates in 3D printing and its uses in different industries. 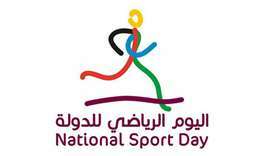 Qatar celebrates the National Sport Day on Tuesday with participation of citizens and residents from all segments of the society. Qatar resident Aziz Mouliah will attempt to create a unique record on National Sport Day today by running a distance of nearly 72km barefoot between Sealine and Katara. 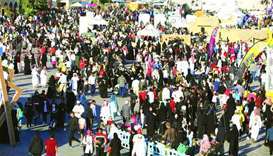 Halal Qatar festival, which concludes tomorrow at Katara - the Culture Village, has been receiving more visitors.